A couple of weeks ago I helped a client with a series of articles for an email marketing campaign. 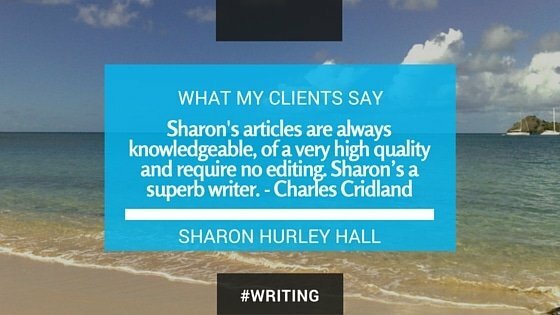 “I’ve worked with Sharon for a couple of years now on different projects and her articles are always knowledgeable, of a very high quality and require no editing. Sharon’s a superb writer – she comes very highly recommended by me” – Charles Cridland.